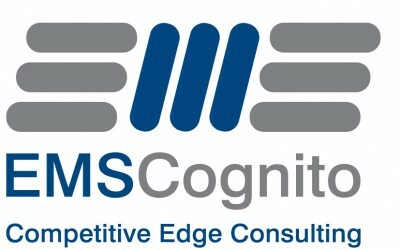 What is the next step after successful Lean RCM implementation? A common question but also a very valid. How do we move from one pilot programme and a small team to a company roll out? This post is a very top level description of the next steps and although I make it sound very easy, there is a lot of change management associated with achieving all the steps and ensure ownership at all levels and not just compliance. Step 1: Develop a series of objectives and goals for the business that spans all departments. Remember in Lean RCM we learnt that reliability is not only a job for maintenance. There must be a common goal for the company at a senior level which must of course include reliability. 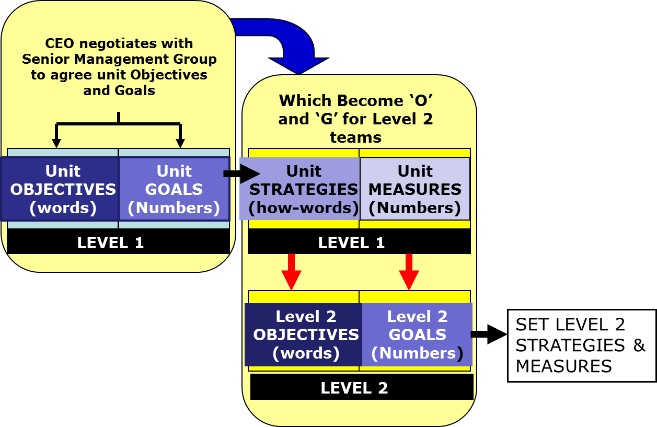 The top level goals then cascade down to the next level of the organisation forming the next level objectives and the goals from these cascade to the objectives at the next level and so on from top to bottom. Start with a daily review at the site of production completed by the people who touch the product or process daily. Then introduce a weekly review at the next tier to review current performance against the goal. Finally introduce a monthly review of long term performance to ensure goals are on track linked with the goals from the objectives set in step 1. Introduce an method that will work when the goal is not being achieved that teams can use to improve the process. 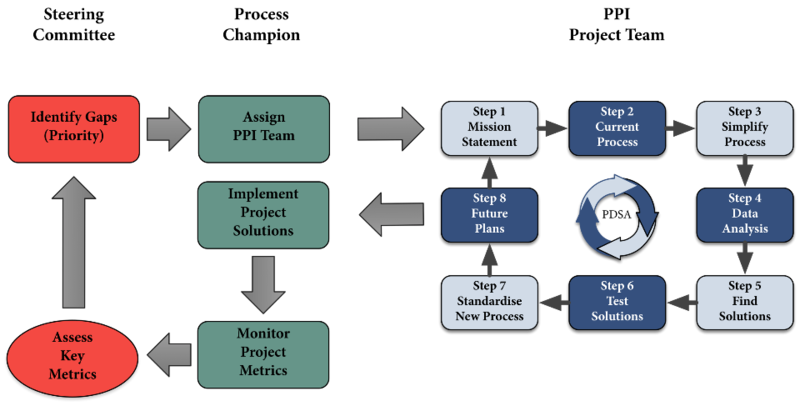 Practical process improvement (PPI). A simple methodology that will provide everyone in the organisation with a process for understanding why the goal is not heading in the right direction the project sets about collecting data, finding and testing solutions and then standardising the new processes. 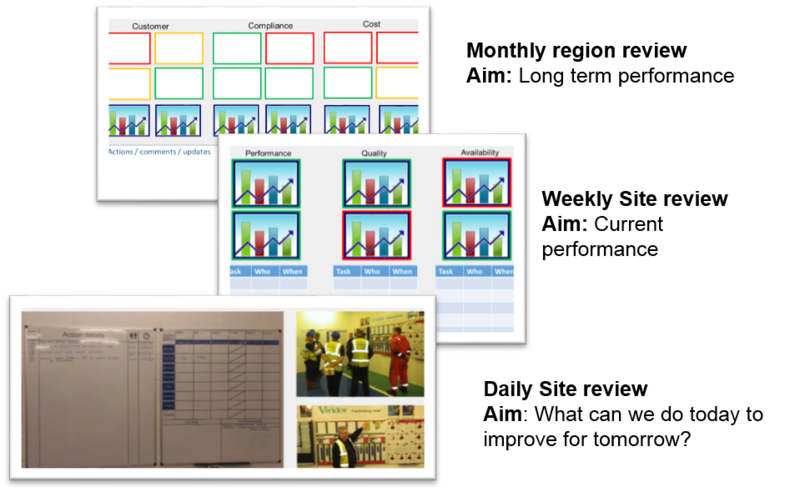 If you have had a successful Lean RCM pilot, then these 3 steps will ensure everyone in your organisation starts to understand their role in improving your company. That, built on reliable assets is a very powerful combination indeed.